The vision for OM Panama was born in the early 1990s. Panamanian Miriam Mendoza started the work of OM in the capital of her country after spending time on both Logos and Doulos. In 1997, Pastor Fernando Brown in Panama City took over the leadership. It wasn't until 2000 that OM International recognized Central America as a Ministry Field with the following four countries: El Salvador, Guatemala, Costa Rica and Panama. Since then, OM Panama has focused on mobilizing the church for world missions. Mobilization: We mobilize the Local Church. We make the Church aware of the need of taking the Gospel to the least reach by building relationship with the Pastors and Churches. We also facilitate the process of Panamanians to get involved in the Mission Field. Pray for the Workers that will be involve on the office, for their support and that they will be people lead by the Holy Spirit, reflecting the Character of Christ. Pray for the Financial Needs of the OM Panama Office, to accomplish the challenge of mobilizing the Church and sustain some ministries. Pray for Open Hearths in the Pastors, Leaders, and Church Members for Missions. Pray for Protection, guidance and support of the Lord for the entire Team. 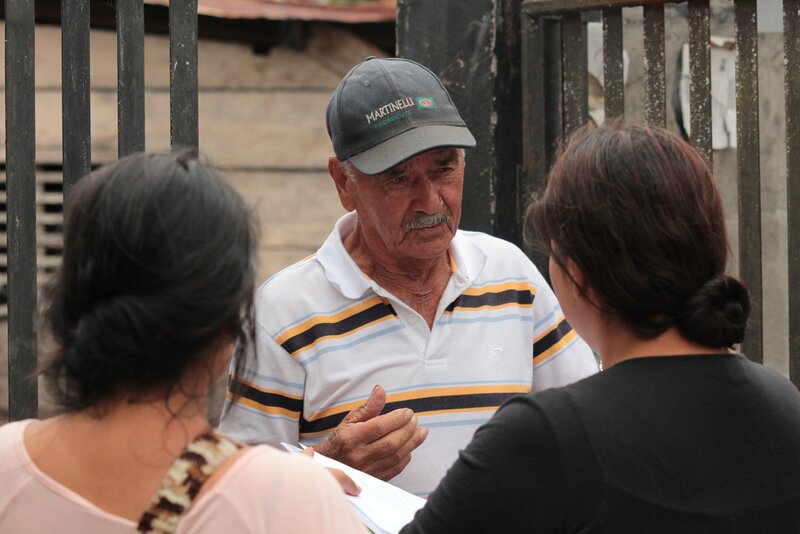 Pray for more Panamanian workers in the Mission Field and for their financial support. State of Economy: In recent years, Panama's economy has experienced a boom, with growth in real gross domestic product (GDP) averaging over 10.4% from 2006–2008. Panama's economy has been among the fastest growing and best managed in Latin America. The expansion project of the Panama Canal, combined with the conclusion of a free trade agreement with the United States, are expected to boost and extend economic expansion for some time. Despite Panama's upper-middle per capita GDP, it remains a country of stark contrasts. Perpetuated by dramatic educational disparities, over 25% of Panama's population lived in national poverty in 2013 and 3% of the population lives in extreme poverty, according to latest reports by the World Bank. State of the church: Some of the major denominations in the Country are Cuadrangular, Bautista, Iglesia de Dios, Asambleas de Dios, Movimiento Misionero Mundial, Metodistas, Interdenominacionales. As in many countries in Latin America, the church in Panama has a self-centred vision and the society is impacting the Church by corrupting their values and faith. Locally many churches have their own radio stations and Local TV Channels. Some churches also have special programmes to feed the poor or ministries among indigenes, where the church has grown in the last years. Only a small percentage of the churches have expand their vision for worldwide missions, some churches have church planting ministries in countries like India and Nicaragua. But still this represents only a small amount of churches who really want to fulfil the great commission.